Is the internet destined to become just another wedge pushing the achievement gap wider? Nearly one in five homes with school-aged children does not have access to broadband, according to the Pew Research Center. Those numbers get starker when looking at kids from less economically privileged homes — 31.4 percent of households making under $50,000 a year and 39.7 percent in homes taking in less than $25,000 — or students of different racial backgrounds, with black and Hispanic families with school-aged children having no access to broadband at rates of about 39 percent and 37 percent, respectively. 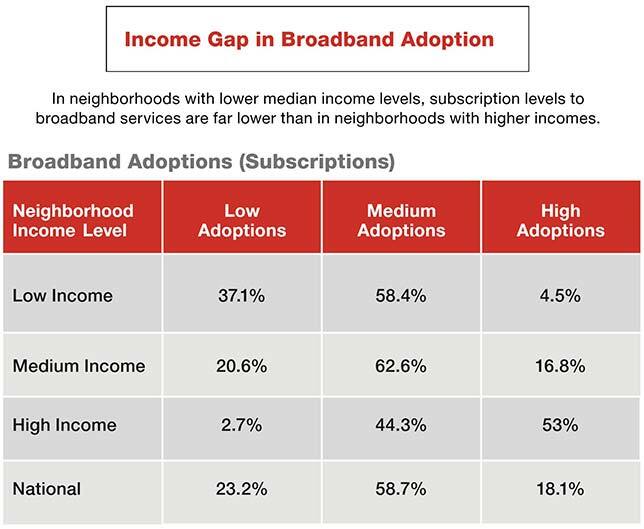 With such disparity in home broadband access, is the internet destined to become just another wedge pushing the achievement gap wider? At California's Pomona Unified School District, a partnership with Sprint is beginning to offer a hopeful answer to that question. "As you can imagine, these hotspots are a pretty effective bridge, very effective as a matter of fact, for mitigating this digital divide," said Oliver Unaka, public information officer at Pomona USD. At rural Beekmantown Central School District in New York, students now have access to WiFi on the bus on longer routes, which can be up to 45 minutes. With 24,000 students, approximately 82 percent of whom qualify for free or reduced lunch, Pomona is currently at the beginning of a 1-to-1 Chromebook rollout. The district also has its share of economic inequity, drawing students from parts of Diamond Bar, CA, where the median annual income is approximately $90,000 and only about one in 20 residents lives under the poverty line and the city of Pomona, with a more modest yearly median income of about $50,000 and a poverty rate above one in five. The hotspots Unaka mentioned recently came courtesy of Sprint as part of its 1million project. "Now it doesn't matter if you find yourself in south Pomona, or if you come from a household where the average household income is $30,000, versus someone else in our school district whose average household income is $300,000," Unaka said. "The reality is both students are prepared to effectively compete in a global economy once they graduate from Pomona Unified School District." Before partnering with Sprint, Unaka said administrators at Pomona noticed an "inordinate amount" of students hanging around campuses after school. When they asked the kids what was going on, they said they were there to access the WiFi. Unaka said that they weren't necessarily there because their assignments explicitly required access to broadband, though. Rather, when "these students get online, they have chat groups, they interface with tutors, I mean they've become so resourceful in terms of learning and marshalling resources to facilitate their growing minds that the absence of that internet considerably shuts off those avenues, those portals to them and they're stuck doing it the way that I guess people did it in the dark ages" when he grew up. For schools or districts that are looking to connect students, leaving a library or other communal space open and available for students after school hours is "A pretty reasonable solution in a lot of places," according to Richard Culatta, CEO of the International Society for Technology in Education (ISTE) and former director of the Office of Educational Technology within the Department of Education. "In fact there are some schools," Culatta said, such as in Mooresville, NC, where "they actually open up their school in the evening, I think even on the weekends, even for community members because remember, these kids are going home and they don't have internet connections; their families don't either. And often those families need it for job training and job applications, and so they actually invite the family members in to be able to use the connection in the school because in the afternoons and weekends all that bandwidth is sitting there unused anyway." Culatta later pointed out via email that Mooresville Graded School District no longer holds this policy, but has partnered with a local ISP to provide home access for students who qualify for free and reduced lunch. At Beekmantown Central School District in New York, though they did see some students congregating in common areas, most didn't even have the option to gather around on-campus WiFi, according to Superintendent Dan Mannix. "We saw them in the cafeterias more in the morning and we still see them in the cafeteria together, but it was evident that they were trying to find ways to connect and collaborate, but we also don't live in a community. We have a large geographic area. It's 103 square miles with pockets of housing," Mannix said. "For the most part, you get your homework and you were on your own or you had a couple friends you might have called on the phone or whatever." 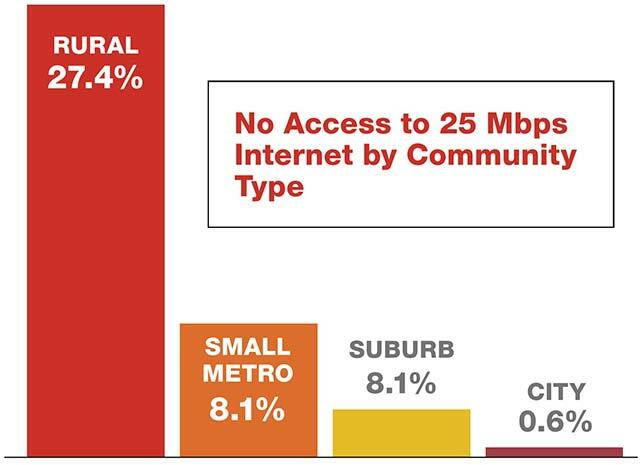 In preparation for a 1-to-1 rollout, Mannix said his district surveyed students and found that most had internet access at home. "70 percent of our kids had it," Mannix, whose district has the highest poverty rate in the county, said, "which was a good number. We were surprised at the number, but, still, 30 percent didn't" have home access. 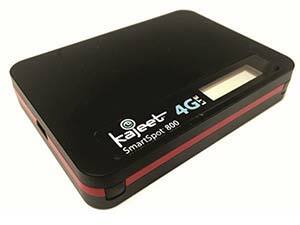 First, the district partnered with Kajeet to offer hotspots that students could check out through the library. But students in the district also often spend as much as 45 minutes on the bus each way so, at the urging of Gary Lambert, the district's director of 2st century learning, Mannix decided to add WiFi to the buses serving the longest routes, with plans to eventually install Kajeet devices on all the buses. So far, Mannix said the programs are going as well as could be expected. "Our achievement's been up, our discipline's been down, our attendance has been up, our graduation rate's up," he said. "I can't attribute it just to this journey, but it's certainly baked in for sure." "But I actually think there's a bigger issue beyond home connectivity," Culatta said. "I think we need to be asking about whether we are using technology in ways that are helping to address long-standing equity issues. Just providing access doesn't solve the problem. You could spend a lot of time connecting schools, connecting homes, but what you're doing with the technology isn't actually improving learning, you haven't made much of an impact." If schools in affluent districts are using technology to connect their students to peers around the world and to design and create and problem solve while less affluent students are merely being taught to passively watch a video or click through a presentation, the digital divide only gives way to what Culatta called the "digital use divide." "There is a really important role that technology can play in addressing equity issues in education, but it's broader than connectivity," Culatta said. 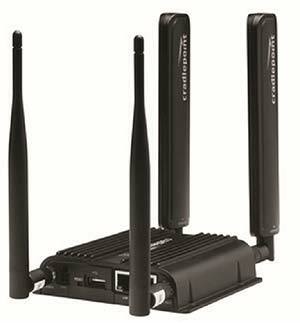 "Connectivity is essential. It's incredibly important. It's a prerequisite in a lot of ways, but it is important to recognize that getting people connected is not the end goal. The end goal is to create learners who are able to thrive in a globally connected, very complex world. We can't call it mission accomplished when we plug in a school or plug in a home. If we haven't also provided them with the next generation learning skills to accompany the internet connection."